Note: Locomotives scrapped at Darlington were either cut up in the Works or at the Scrapyard which was separate. Unless otherwise stated I have placed them under the general heading of Darlington Works. 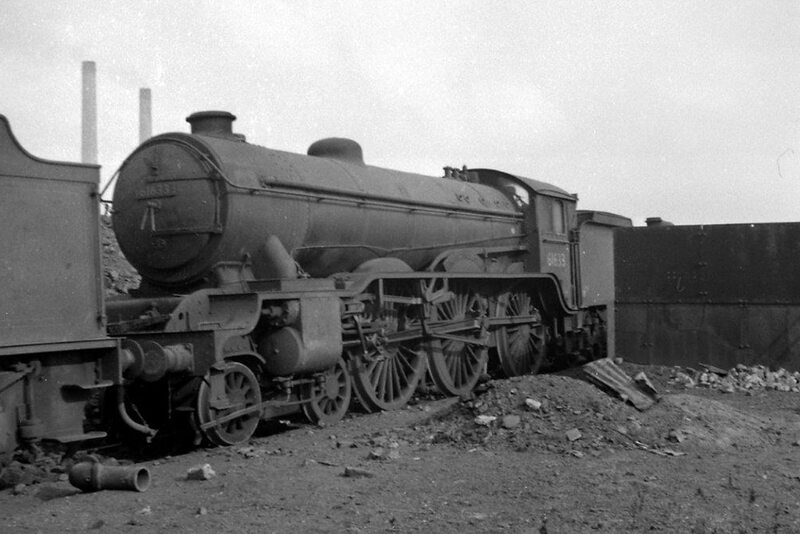 LNER B16 Class 4‑6‑0 No. 61463, from 50B Hull (Dairycoates) and in fine external condition, is being prepared for its next turn of duty over an ashpit at 36A Doncaster on 12th May 1963. A once longstanding resident of 50A York, No. 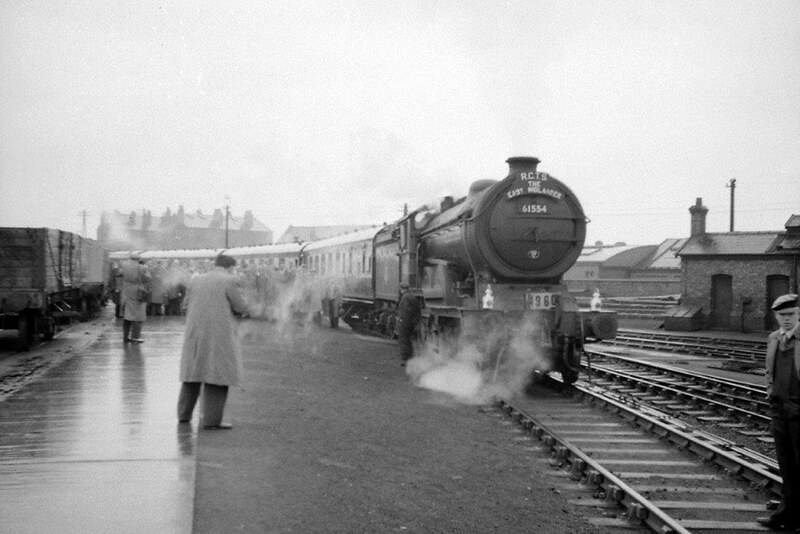 61463 had been transferred to Dairycoates in December 1962. 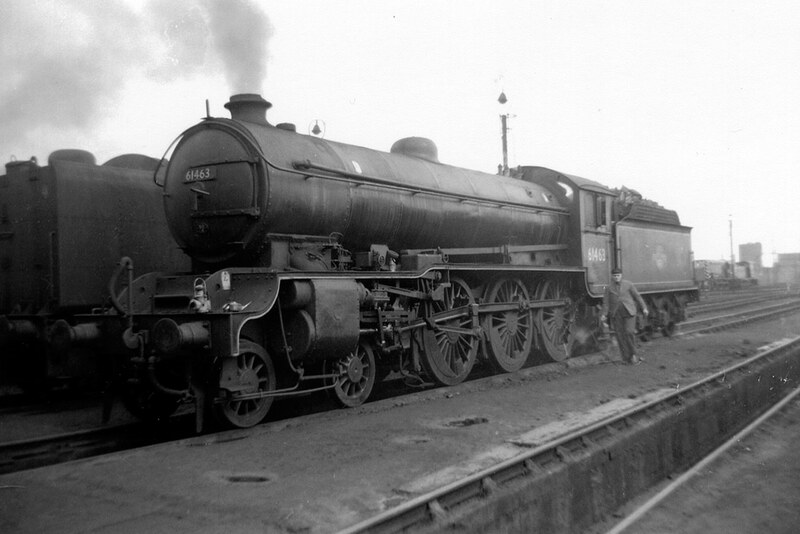 LNER B12 Class 4‑6‑0 No. 61554 arrives at Derby Works on a dismal day in the 1950’s with the RCTS sponsored ‘East Midlander’ special. Once the enthusiasts on board have disgorged themselves they will no doubt fan out like ants as they search for their prey in the Works and near‑at‑hand Motive Power Depot. Rusting and unwanted LNER B17 Class 4‑6‑0 No. 61633 Kimbolton Castle, late of 31B March, awaits the cutter’s torch at Doncaster Works around September/October 1959. One wonders if the smokebox numberplate was cut up with the locomotive! There are no known additional amendments or queries appertaining to the disposals of the LNER B16, B12 & B2/B17 Classes of locomotives, but any information to the contrary will be welcomed along with any confirmations or otherwise of the verifications required. Author’s Note: Discrepancies between the monthly withdrawal dates as published in the 1987 reprint of WHTS Volume Eighteen and the updated versions online are negligible. Note: Locomotives scrapped at Darlington were either cut up at the Works or at the nearby scrapyard which was separate. Unless otherwise specified I have placed them under the general heading of Darlington Works.